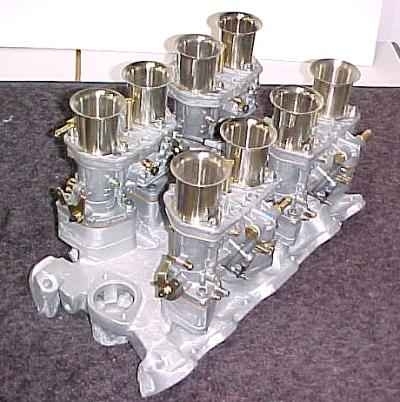 I have one no used water-heated manifold to mount four dowdraught Weber or Dellorto carburettors from [www.piercemanifolds.com]. Just for information, it is an MM4471 manifold. 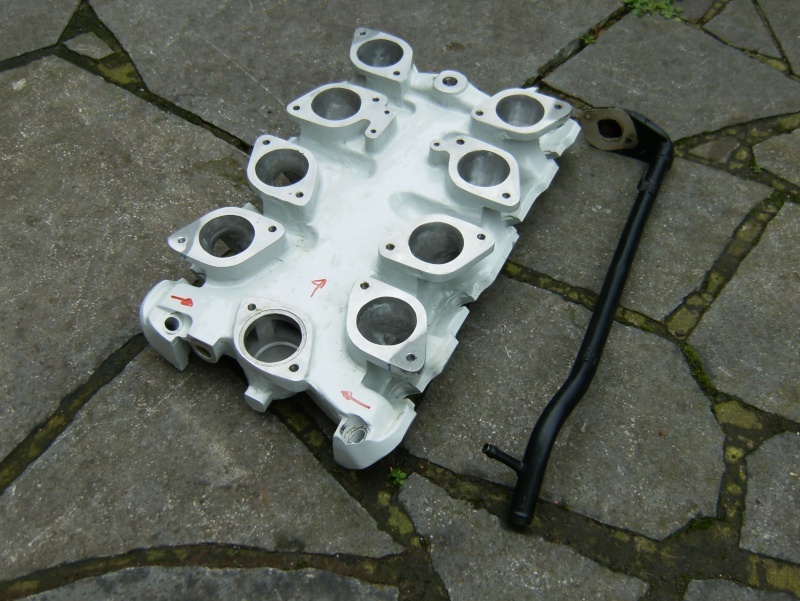 Do you still have this Buick 215/Rover V8 Quad downdraught Weber/Dellorto manifold for sale? Dimitri, since you state, it also takes Dellorttos', Is this the IDF. pattern or IDA. ? Thanks, roverman. Art, yes it takes also Dellorto DRLA, pattern is of IDF. Sold since long time. I think it was "Pierce" that bought my Mickey Thompson/Indy, DCOE cross-ram tooling.Be nice to see it in production. "340" size ports. roverman. 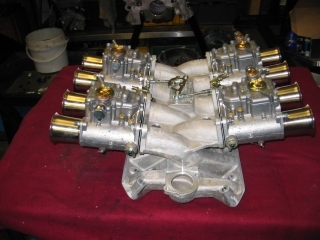 Wotland, who sells the manifold that you are wanting to buy? Hunting for a used weber setup for my modified buick 215. 302 cu, rover callaway heads, buick 300 crank, TA Performance Rover roller rockers and a solid lifter crowler cam. The 2x2g's setup runs out of steam before I run out of cam. Would prefer a crossram sidedraft setup but will settle for downdraft.